Thanks to a tip from our own Seibertronian carytheone we've got an interesting video produced by Takara Tomy . The video features a member of the design team identified as Kenta Wakizawa discussing some of the features of MP-45 Bumblebee. While it's mostly stuff we're well aware of (cartoon accuracy in bot mode with a Choro-Q inspired car mode) it does give an idea of just how easy it is to get the figure into poses, partly in thanks to some ridiculous ankle tilts. 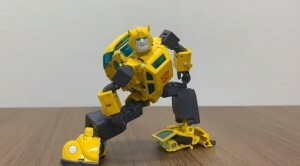 Not only that, but the figure is also heavily compared to the original MP-21 Bumblebee. We now see that not only if MP-45 skinnier than MP-21 (at the cost of some crazy back and feet kibble), but also a little taller. We also get to see just how different the shades of yellow are between the two figures. The original video has been geoblocked to be Japan-only, but was quickly mirrored by YouTuber Minhduc Pham and can be viewed below! You can turn on closed captioning and enable translation settings in the video to get English subtitles, but don't expect them to make a great deal of sense. It should be pointed out that the MP-45 used in this video is still a hand painted prototype and reflects the paint chips and poorly locking parts that come with it. So does this video change your mind one way or the other? Sound off in the Energon Pub forums below and let us know! Nope, I still prefer the toy/cartoon hybrid aesthetic of the older masterpieces. Plus, that kibble is just horrendous. Dude can't even put his feet together! I still think that this particular MP toy was unnecessary. It doesn't really improve the previous version, especially when it comes to kibble parts. Just the feet I'm not liking on the new MP, Daniel or cassettes would have to stand in front of him to hide them. The great thing about those gnarly feet and chin is that it saves me from spending my hard-earned cash. 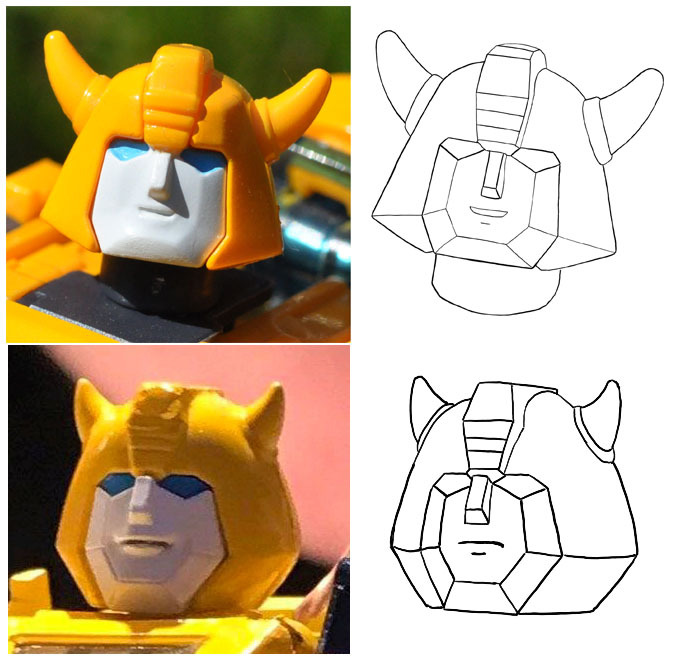 I know this has been discussed, but I still don't get the new head sculpt. I think the headsculpt is more show accurate. Bee did have a more circular head than the previous MP. Going by the very badly English-translated auto-generated closed captions, one of things that the designer aimed to do with this figure was to enable it to hold the gun with both hands together. Sabrblade wrote: Going by the very badly English-translated auto-generated closed captions, one of things that the designer aimed to do with this figure was to enable it to hold the gun with both hands together. 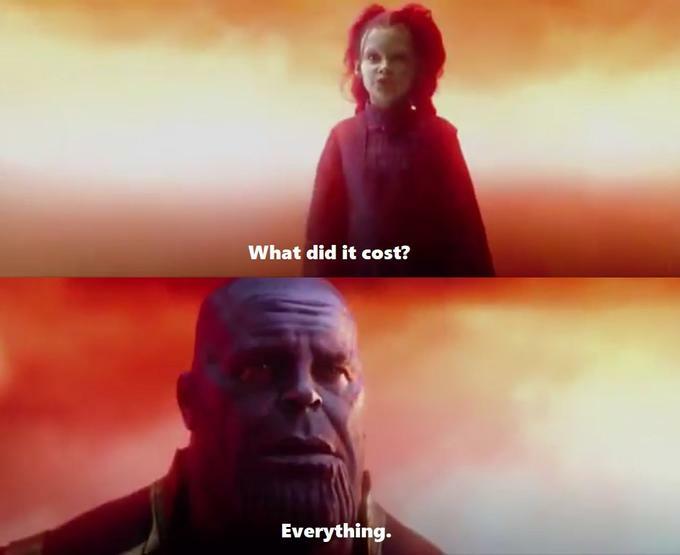 Mission accomplished, but at what cost? 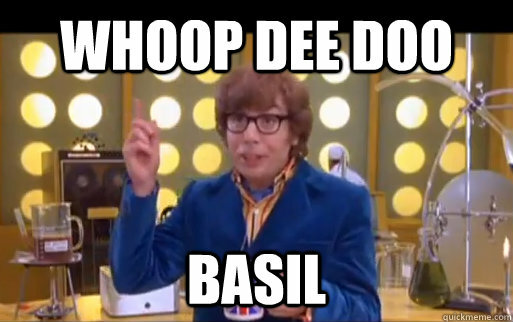 I have to say... I kinda feel bad for the creators of MP-45. It feels like they tried to make something that would work with a G1 aesthetic, given the limitations they no doubt had. Then, with the final product seen, it gets a lot of (understandably valid) backlash, which no doubt has to hurt given the MP's line general success when it comes to design and engineering. I think, for me, this will be an easy pass. Just like the BW MP line, just like MP Megatron, and (sadly, as I'd kind of like to have him) Grapple. And all the repaints. I've had / have most of the MP molds, but my budget isn't what it used to be, and I've had to be pretty discerning with my purchases. Sadly, this isn't something that I need. I ENJOY everything about the first MP Bee - the colors, the transformation, the poseability, the accessories (everything except the face it came with, which I feel is a little too pudgy. The Battlemask is a permanent face on mine), and I wholly enjoy it all. This new Bee doesn't look like it would be a whole lot of fun to have. Sure the chibi aspect of the vehicle is cool, as is the poseablity, but overall? Sorry Takara. No matter how you paint this, I won't be jumping for it. Worse and worse. The original MP Bumblebee looks so much better in comparison. "Masterpiece Bumblebee must be able to double grip his laser gun, no matter the cost!" 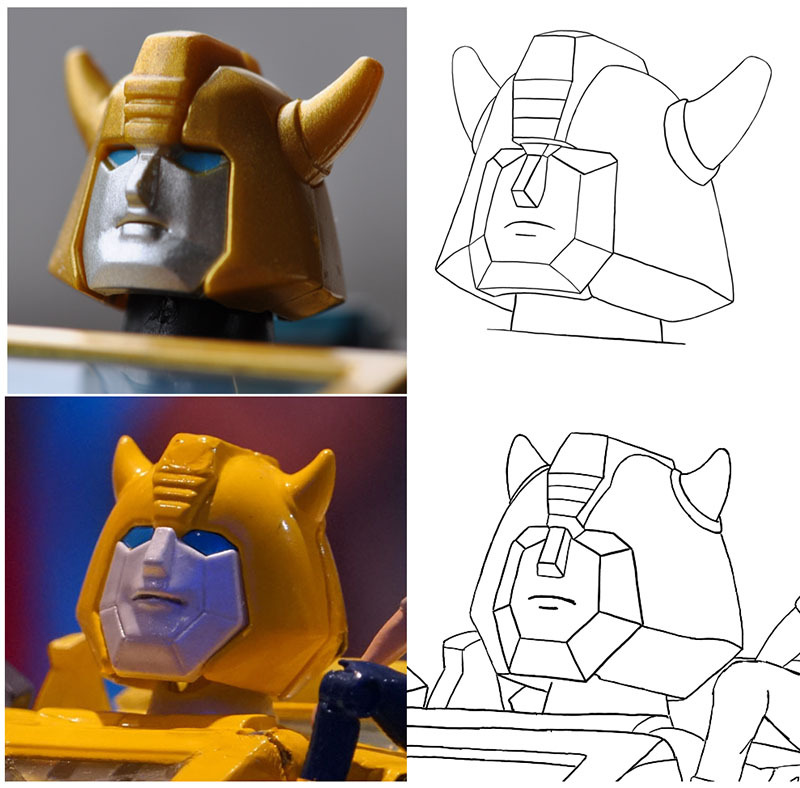 In all seriousness, I want to like Masterpiece Bumblebee 2.0, and when you look at it the right way, it's an amazing cartoon likeness in both modes. I don't even really mind the backpack on robot mode at all (I almost never mind big backpacks on my Transformers), but those feet are horrendous! They just kill it for me. The kibble on the heels is noticeable no matter the angle you view it from, and the folded up bits laid bare on the insides of the feet are extremely distracting. I feel like I could forgive the feet if at least ONE of the problems, either the heels or the inner sides of the feet, were fixed, but both being so problematic is just too much. Wolfman Jake wrote: In all seriousness, I want to like Masterpiece Bumblebee 2.0, and when you look at it the right way, it's an amazing cartoon likeness in both modes. I don't even really mind the backpack on robot mode at all (I almost never mind big backpacks on my Transformers), but those feet are horrendous! They just kill it for me. The kibble on the heels is noticeable no matter the angle you view it from, and the folded up bits laid bare on the insides of the feet are extremely distracting. I feel like I could forgive the feet if at least ONE of the problems, either the heels or the inner sides of the feet, were fixed, but both being so problematic is just too much. I also want to like MP45 because I really like the alt mode, but it's just too many little cons that add up to a big no thank you. carytheone wrote: ... it's just too many little cons that add up to a big no thank you. Especially little ones, as Perceptor would tell ya. Together, MP-45 looks much more cartoon-accurate. If you're into that sort of thing.